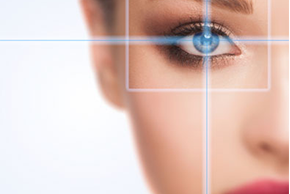 Teri’s Salon is one of the leading eyebrow threading and full-service salons in La Habra, CA. Committed to supplying only the greatest customer satisfaction, we pride ourselves on providing outstanding service and using only top-rate products in a relaxing, rejuvenating environment, all at practical prices any customer would appreciate. At the salon, our talented aestheticians work tirelessly to uphold a welcoming, tranquil and creative ambiance that values diversity and giving our clients an unforgettably exquisite experience. Our number one mission is to deliver products and services that enhance each customer’s true beauty and mental relaxation. We offer a wide range of services guaranteed to pamper and please your senses. Whether you’re looking for perfectly threaded eyebrows, expertly manicured nails, or a brand new look at our hair salon, we truly have it all! We are proud to offer full waxing and facial services in addition to microdermabrasion and eyelash extensions, and so much more! At our salon, you are given not only a one-stop shop for all of your beauty needs, but always that extra special touch to make you feel revived and recharged. We understand every client is looking for an extraordinary, high-quality experience. Combining extensive knowledge and creativity, our stylists strive to meet your expectations while staying current with the latest innovations and trends in beauty. We will provide you with a dedicated, professional consultation, giving detailed consideration to lifestyle, face shape, skin tone and quality, and color analysis. Teri’s Salon’s expert stylists and beauticians are chosen not only for their talent and expertise, but also for their nurturing care of our clients’ wishes and needs. We would love the opportunity to earn your business in our warm and relaxing atmosphere. Come in today and let us make your beauty dreams a reality!